From lack of resources to lack of publicity, incontinence in men is a topic that needs serious attention. Leakages are certainly not just a woman’s problem. Data has shown that men are less times less likely than women to use disposable pads. However, interestingly, they are four times as likely to require help in changing them. Studies have also shown that men are also more likely than women to request assistance in changing other products such as bedding. Incontinence is often perceived as evidence of incompetence and can severely affect self-esteem in adults. Could the media’s portrayal of incontinence be partly to blame for the gender gap? Are you a man suffering from incontinence? Visit our Incontinence in Men Section for useful tips and advice. Within the traditional family caucus, the perception that incontinent men are incompetent is more prominent. Keith Richman, Break Media CEO, set out to capture the way men are perceived in the current age. His report queried 2,000 males between the ages of 18 and 49. He asserts in his conclusion “the media industry has tended to characterize men as macho guys and skirt chasers. This has created what he calls the “normal gap” that exists between the personas embodied in the media and the reality of men. With men watching countless adverts of women with incontinence, putting their hand up to incontinence can be difficult. Men advertising of intervention strategies for urinary incontinence tend to portray women of exclusive victims of this problem. Men, on the other hand, are much less often seen as the “sufferers” of incontinence. Women are often more encouraged to share their health problems, with a large range of magazines available. This is a pattern that we experience from the age of 13. With magazines for teenage girls full of questions and answers on health and beauty, magazines for boys are much more focused on games and comics. Women are also much more experienced on using pads due to the menstrual cycle, and so men often consider buying incontinence products as a female activity. The lack of awareness around male incontinence can cause decreased quality of life and reduced self confidence. Men do not see the condition as being socially acceptable or common, so this can make psychological consequences worse. Men can also experience isolation and avoidance of doing activities they previously enjoyed. Bridging the gender gap is something that is happening slowly however requires much more awareness. Incontinence products are now being designed to appear more “masculine” and attractive to men, moving away from the feminine stereotype of pads. The Tena Men advert is a good starting point for bridging the gender gap. It aimed to break the taboo of incontinence in men by tackling the problem with comedy. The advert stressed the fact that incontinence does not define who are or take away your personal qualities. Sterling Gravitas, a “gold medallist” was the new face of Tena Men Incontinence Pads. Stirling claimed, “I’m in control of all aspects of my life”. The man appears to have a successful job, his own personal interests and is not simply defined by his condition. However, is this enough to end the gender bridge between men and women? Men still wait 4.2 years after experiencing bladder control issues before seeing a healthcare professional. 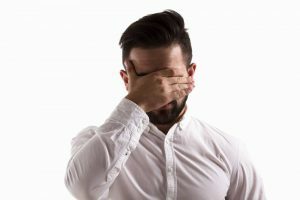 Considering the fact that many men still consider incontinence more embarrassing than not being able to get an erection, the answer is probably no. It is vital for adverts and support groups to try and break the taboo and promote incontinence as a problem for both men and women. The Cleveland Clinic is using it’s “MENtion it”campaign as a method to increase education, distributing men’s health guidance and getting conversations started. Men should not have to simply put up with the symptoms to resist feeling embarrassed. Interested in trying Tena Men? Shop our TENA Men Pads on Allanda to manage incontinence with dignity. If you are a man suffering with incontinence, you can visit an online support group or talk to a GP. Doctors hear about this problem on a regular basis, so you shouldn’t feel embarrassed doing this. It is also vital to educate the people around you and ensure they are aware of how to approach others about it. By raising awareness, we can dramatically improve the lives of men across the world. Our interactive forum can provide you with answers and tips from specialists.